Integrated linear/rotary stage without backlash or hysteresis. 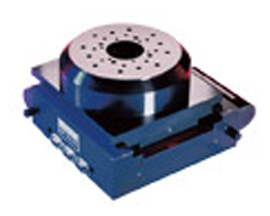 Compact integrated precision motion control X, Y, Θ stage built with Kensington’s precision single axis linear stage and precision rotary stage technology. The precision xyΘ stage 33LR has linear stage X-Y travel distance of 80 mm x 80 mm with continuous 360° rotation. The precision motion control 33LR unit is used as a stand alone system or integrated with other Kensington or 3rd party precision motion control systems to address a wide range of applications requiring precision xyΘ stages. Contact Kensington today for technical details and to obtain a quotation for the 33LR .